Asphalt Seal Coating in Lakeland – The asphalt on your residential or commercial property takes quite a beating. Whether from car or foot traffic, Mother Nature’s harshest elements, or underground shifting and root growth, it’s hard to keep your asphalt looking nice. And nothing cheapens the look of your property faster than cracked, bulging, or discolored asphalt. Asphalt seal coating is one of the best ways to not only protect and extend the life of your asphalt, but also to improve the overall look and feel of your business or home. Asphalt seal coating is the process of applying either a coal tar emulsion or asphalt-based emulsion over existing asphalt. The application process can either be done with spray application, hand or machine squeegee. Our professionals at AAA Top Quality Asphalt understand the importance of every aspect of asphalt seal coating. When we arrive at your project, the first thing we do is provide motion of traffic and pedestrian control by barricading and coning off the area to minimize confusion and disruption to your home or business. We then begin the meticulous process of cleaning the existing pavement in preparation for the seal coat application. While we are cleaning, you can expect us to use walk-behind blowers, broom tractors, steel brooms and/or shovels. We pay special attention to gasoline and oil spills, as these stains are slowly working at deteriorating your asphalt the longer they are left untreated. An oil spot primer is applied to these areas before the asphalt seal coating process begins to provide the extra treatment these spots need. Our experienced staff then cuts all the edges (curb and grass lines, etc.) using specially-designed seal coat mops. This ensures that overspray is avoided. Once we are satisfied that the cleaning, priming and cutting steps are sufficient, we begin the process of thoroughly seal coating your asphalt. 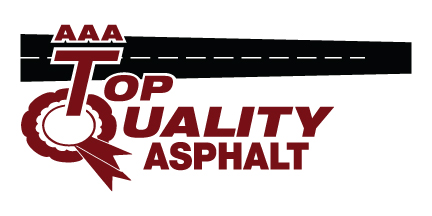 At AAA Top Quality Asphalt, we are located in the Lakeland, Florida area and are committed to the top-quality work our name promises. By regularly applying seal coat, we can more than double the service life of your asphalt. Contact us today to set up an appointment for asphalt seal coating. Sealcoating is the process of applying either a coal tar emulsion or asphalt based emulsion over existing asphalt. Here at AAA Top Quality Asphalt we provide quality Asphalt Seal Coating for customers in and around Brandon, Plant City, Lakeland, Tampa, Winter Haven and Clermont, Florida!